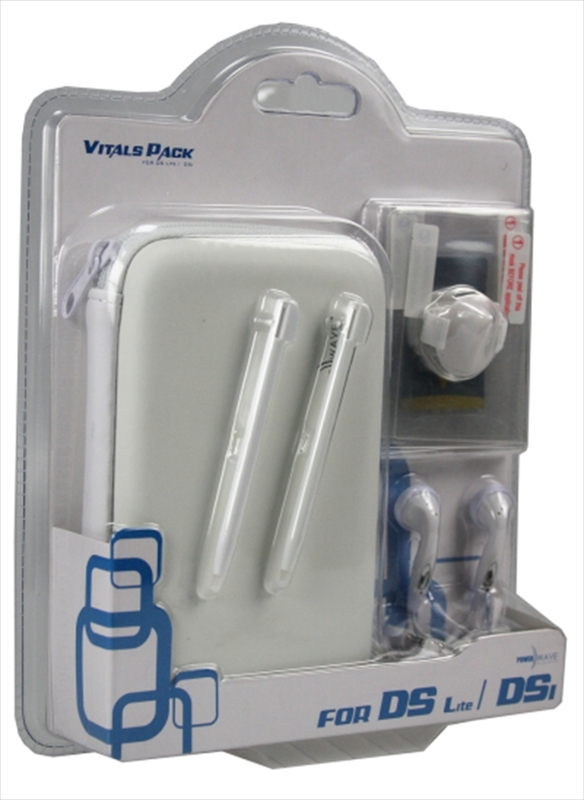 The Powerwave Vitals pack provides all the vital components you need to fully enjoy the DS Lite or DSi experience. It also includes key accessories which will aid in protecting your hand-held. This is a pack you can't go past. Components include: Hard Case, 2 Stylus, Thumb Stylus, Earphones, Screen Protectors, Cleaning Cloth.